Agents love it when a prospect comes in, looking to change agents because of a claim problem. Those customers are looking for better security, and they are willing to pay for it. But what happens when it is YOUR customer dealing with the claim problem. Do you know how to make sure that customer is satisfied with the claim? A lot of agents do not know that agents can do a lot to make sure a claim goes well for the customer, and they can accomplish this with a little effort and a bit of knowledge. This is where this book comes in. We'll identify 6 common "pain points" in the claims process and teach you, the agent, how to make sure they don't become something more than a mild invonenvience. Paul Lytle has been in the insurance industry for over 10 years, serving as first an adjuster and then an agent. He is the cohost to the "It's Covered" podcast, an insurance industry podcast that focuses on service and understanding. 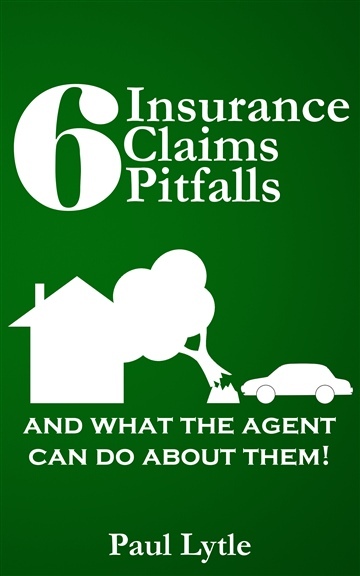 He is also the owner of the Premier Agency Claims Training program, an online class to help agents better understand claims so that they can help their customers be better satisfied by claims experiences.